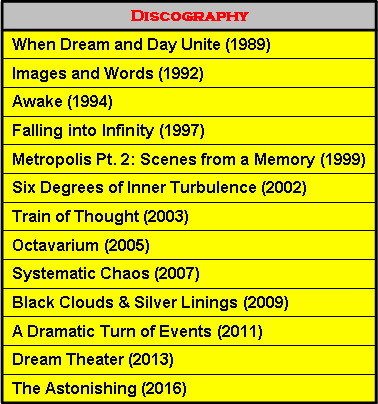 ﻿ Dream Theater Archives - Progressive Metal | U.S.
Dream Theater is an American-Canadian progressive metal band formed in 1985 under the name Majesty by John Petrucci, John Myung and Mike Portnoy while they attended Berklee College of Music in Massachusetts. They subsequently dropped out of their studies to concentrate further on the band that would ultimately become Dream Theater. Though a number of lineup changes followed, the three original members remained together along with James LaBrie and Jordan Rudess until September 8, 2010 when Portnoy left the band. In October 2010, the band held auditions for a drummer to replace Portnoy. Mike Mangini was announced as the new permanent drummer on April 29, 2011.